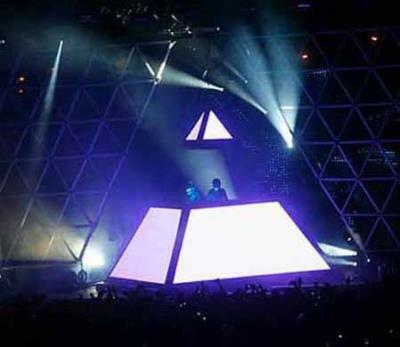 Daft Punk is an electronic music duo from France. They are best known for their Darth Vader like costumes, never showing their faces. They also rarely give interviews or appear on television. 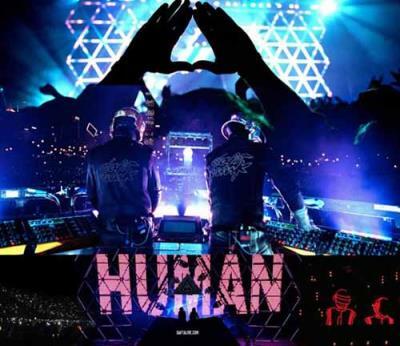 They were nominated for a Grammy for their song "Get Lucky" produced by Pharrell Williams. 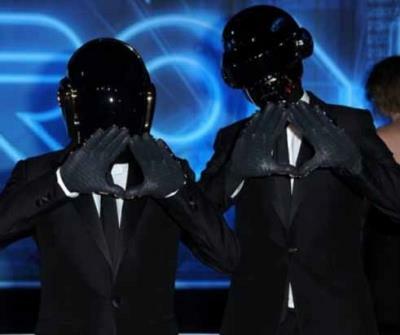 As secretive as Daft is about showing their faces, they are not secretive about displaying their Illuminati loyalties. Yes, about every photo opportunity they are throwing up the pyramid. 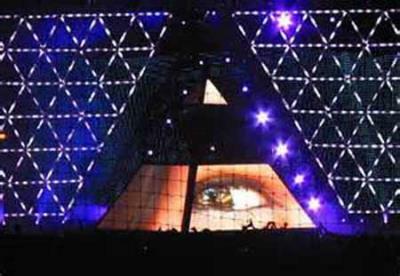 Their elaborate stage setups (shown above) are also rife with Illuminati symbolism. It is hard not conclude whom Daft works for, they are simply puppets in costume.